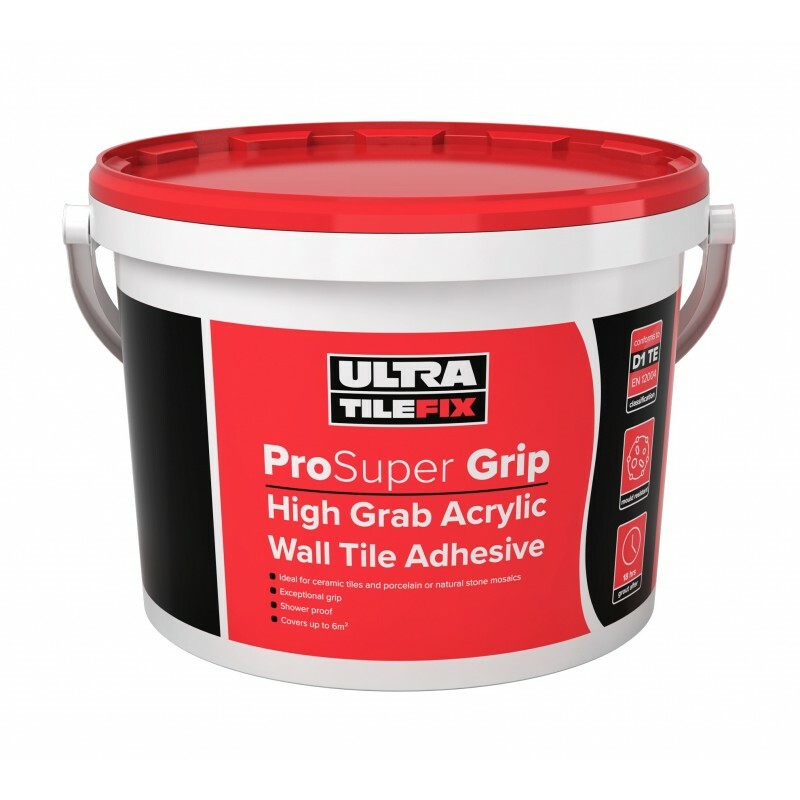 Ultra Tile ProGrip HG is a ready mixed high grab acrylic wall tile adhesive. Ideal for standard and large format ceramic wall tiles, also suitable for use with porcelain, mosaics, glass and natural stones. 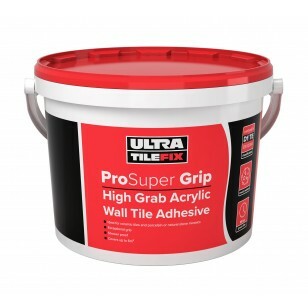 High Grab Acrylic Wall Tile Adhesive Ultra Tile ProGrip HG is a ready mixed high grab acrylic wall tile adhesive. Ideal for standard and large format ceramic wall tiles, also suitable for use with porcelain, mosaics, glass and natural stones. NB: When using larger format non-porous tiles like porcelain and glass, drying times will be substantially increased. In these instances we would recommend the use of a cementitious adhesive.